The (Mobile) Indie Game Dev Survival Guide is the talk I presented at GDC China 2013. Another update for MTG Tracker, just in time for another pre-release. Now, apart from a few bugs on the collection / wish list section, all this one does is to improve the screens and the flow on the decks area. Because it is one of the most used features of the app, and I want to provide the best experience for the users. Now, each card on a deck has type information and casting cost… I can’t believe I had not added that before, now I can’t imagine that screen without them. But also, for each deck, you can now see the format of the deck and the colors it uses. Because it is always nice to know that stuff. 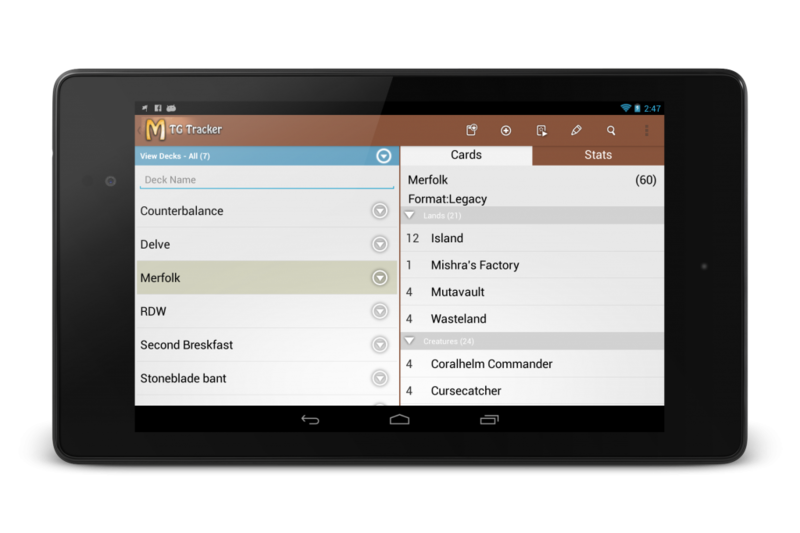 A new set of Magic the Gathering is out, and a new version of MTG Tracker comes with it. This time it is Magic 2014 Core Set. The icons for color selection were bad, it was not trivial to see when they were selected and they had a very old design and did not fit with the new tendency towards flat design, so I updated them. 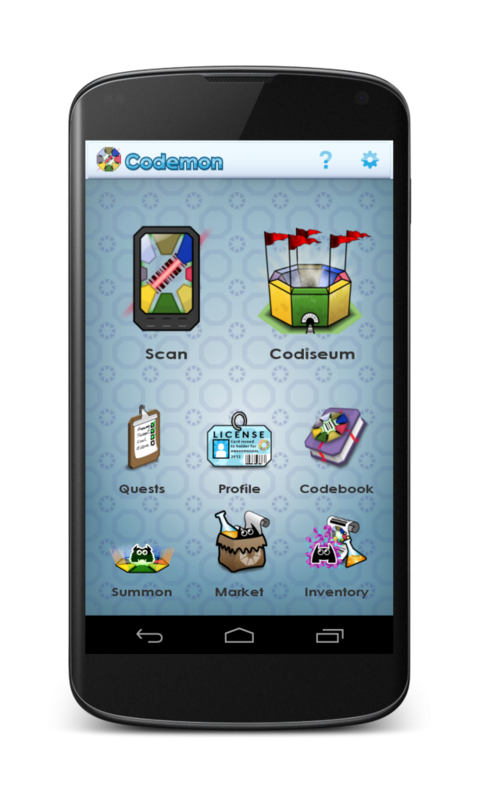 It’s been a long time without updates on Codemon, finally, the wait is over. Players asked for more Codemons and evolutions… well, players always ask for more creatures and evolutions in games like this. There were a few limitations to give them what they were asking for. In first place, the barcodes always generate the same result, by design. That makes impossible to make more creatures from scans. 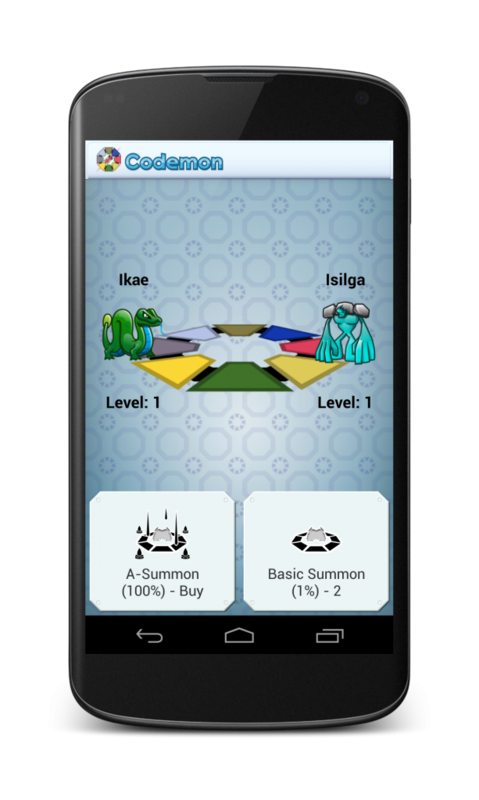 Secondly, Codemons were already able to reach level 100 without any evolution, so that discards the easy way. In fact making the Codemons evolve will make it look more like a copy of Pokemon, and the idea is not to copy, but to just be inspired. We found a quire interesting solution: The Arcane Codemons. Those were the original Codemons and they are extinct. That is why they can’t be scanned. Arcane Codemons need to be summoned. To perform a summon, you need to use 2 Pure (a.k.a. having only one element) Codemons, they will be sacrificed and the Arcane will be summoned. Well, it is not that simple, there are several types of summoning and it depends on the Codemons involved. This is a great mechanic, it puts more Codemons into the game, and it does it in something that “resembles” an evolution and at the same time does not break the existing game mechanics and is also different from other games. The other big improvement of this version is cloud sync of accounts. That sounds easy, but it has been quite a nightmare. I needed to rewrite all the communication layer, the server side and the client cache… pretty much half of the game has been rewritten to make it work. But all the coding and testing is done and it is available on Google Play, so grab it and play! 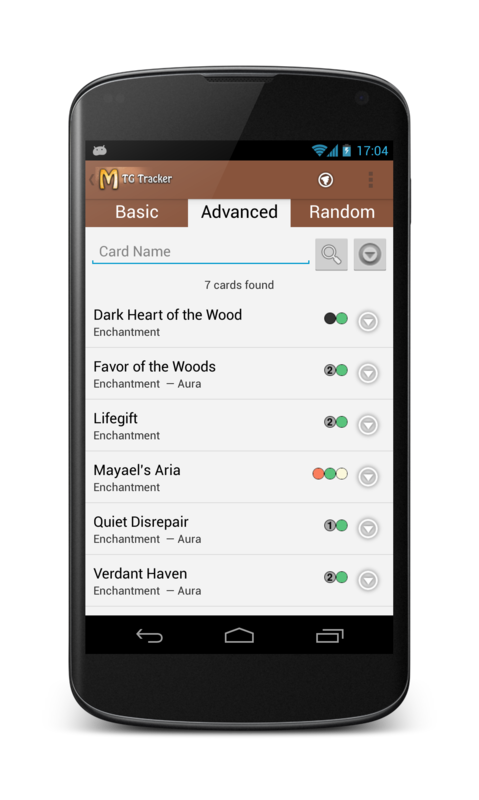 Today the version 5.1 of MTG Tracker is available on Google Play. For a very long time, people have been complaining, and with good reason, that the Advanced search needed more options. Although the previous version allowed to search for green enchantments that cost 3 or less, or green cards that had “gain life” in the text that are valid on Modern, It was impossible to search for green enchantments that have “gain life” in the rules text. This was specially noticeable when searching key pieces for combos or when building tribal decks. Another example is to search for humans with first strike. For one reason or another, that feature has dropped from the list from version to version, but given that it was arguably the biggest flaw of the app, I am happy to have it solved. And in case you were wondering, there are 7 cards that are green enchantments that cost 3 or less, valid in modern which have “gain life” in the rules text. While the feeling of Gold Rush in the field of mobile apps and games still exist, my impression is that the gold has been mostly depleted for a while -at least for indie developers-. This post is the summary of the journey of MTG Tracker, and how it has performed over time. Note: MTG stands for Magic the Gathering, a very popular collectable card game. MTG Tracker is a tool for players of this game, not a game on itself. 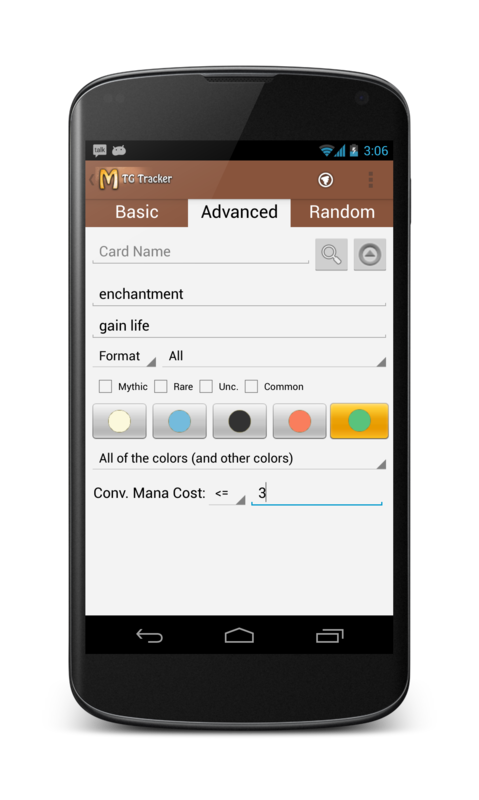 Back then, the free version of MTG Tracker just won 3rd place on BestAppEver Awards 2011 and was by far the most popular mtg app on Android. In a surprising twist of events, WotC (the makers of the game) suspended the app via a copyright C&D letter. At that very moment it was over 220,000 downloads, averaging 400-500 downloads per day. That attack on 3rd party mtg apps took down 3 other apps, leaving Android mtg players with crap apps and the paid version of MTG Tracker (why it was not targeted by the C&D letter is something I don’t know). The side effect of that suspension was a significant increase on the downloads of the paid version, and also the growth of some apps that were not popular before. As WotC seemed to not be targeting 3rd party apps anymore and they even removed their official app from Android and iOS App Stores, I decided to resume development of MTG Tracker, which was on maintenance mode since January. The new features made the gap between my app and the rest even bigger. With no news from WotC in 1 year, and 6 months since I resumed active development of MTG Tracker, I decided to publish the free version again, under a new package name (after removing all copyrighted material, of course). The downside of using a new package is that it enters Google Play as a new app, starting with no downloads and no ratings. Only the name of the paid app to back it up. One would expect that given the popularity of the old free version, the growth of the paid version and the lack of quality competition, this new release will quickly catch up with the pace of downloads it had before, specially given that there are much more Android smartphones out there. It has been 4 months since the initial release and a few weeks since an important update. The paid app is still keeping the same pace, but the fee app has barely passed 10,000 downloads in this period of time. That is less than 100 downloads a day. That is 20% of the downloads it had before, per day. That is why I say that the gold is over. Disclaimer: I don’t have any hard data to back the conclusions, they are just my hypothesis after analyzing the figures. I think there are 2 main problems. The first problem is lack of discoverability. Right now, doing a search on Google Play returns all sorts of apps, and getting in the top 5 of a search by the keywords you are targeting is quite difficult. Why my app is behind other apps with the same relevant keywords, even thou MTG Tracker has more ratings, more downloads and better average ratings… and it is also newer. It puzzles me. The other problem is user weariness. Let me explain it: All the early adopters were eager to install and try each and every app. That eagerness does not last forever, I am actually surprised it has lasted that long, and the new users are nowhere close in activity as the early adopters. 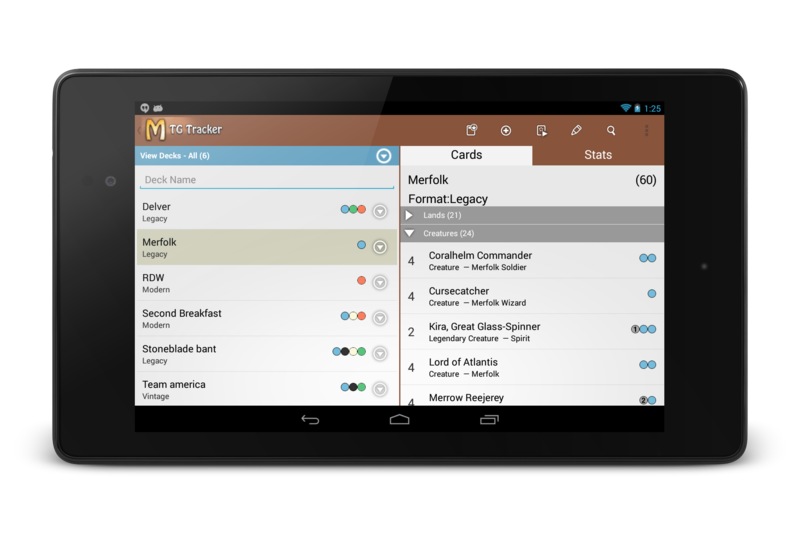 MTG Tracker was suspended from Google Play on Jan 2012, being the leader on its niche. When an improved version was republished in Jan 2013, the traction it got was significantly lower. One year of difference and a better app results in less downloads.